Montclair Parking Garage - MAST Construction Services, Inc. 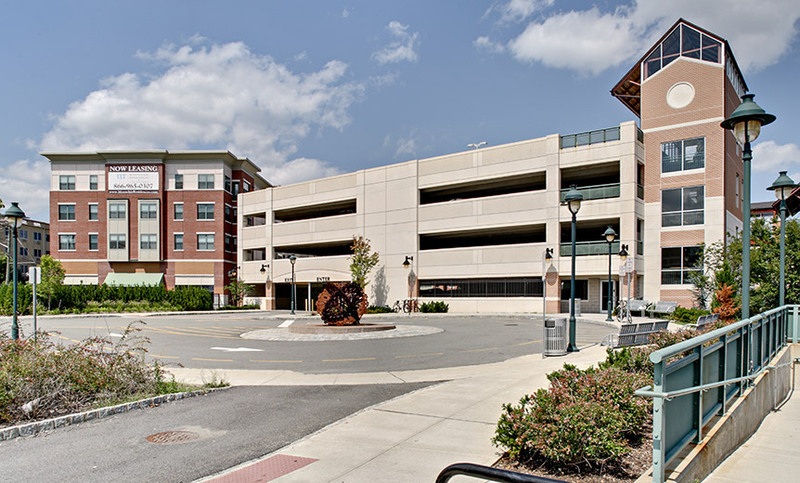 The Montclair Parking Garage, located at Bay and Pine Streets adjacent to the Montclair train station accommodates both local commuters and nearby residents. As the area flourishes with restaurants, shopping, theatres and businesses, it relies heavily on this new parking garage. The three and one half story 79,000 SF structure, provides parking for 225 vehicles. With a building footprint of 24,000 SF, the garage consists of a precast concrete system with a brick inlay on the façade. There is an interconnecting single helix ramp and pedestrian circulation is provided by a hydraulic elevator and two stair towers.